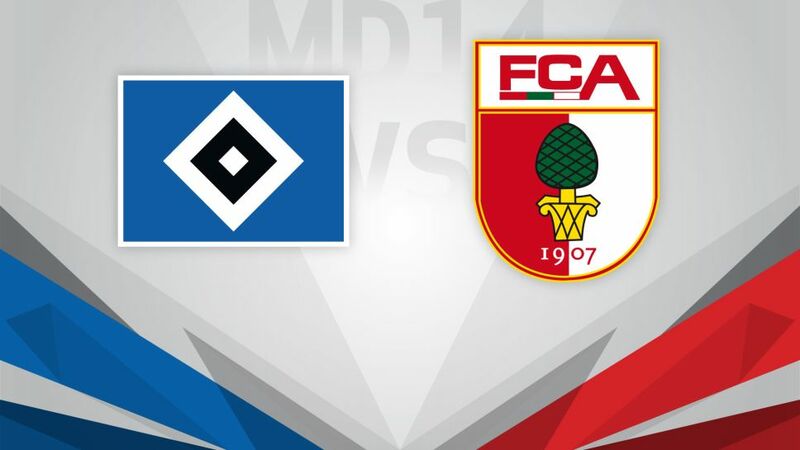 Hamburger SV can climb out of the automatic relegation zone with a positive result against steely FC Augsburg on Saturday (kick-off 15:30CET/14:30GMT). Much-improved under Markus Gisdol, Hamburg broke their duck at the 13th time of asking with victory in Darmstadt on Matchday 13. Although their first win of the 2016/17 campaign took the Red Shorts off the bottom of the table for the first time since Matchday 8, they remain three points adrift of outright safety - without a home win all season. Visitors Augsburg are seven points better off in 12th place, following an impressive run of results comprising victory in Ingolstadt and successive draws against high-flying trio Hertha Berlin, 1. FC Köln and Eintracht Frankfurt. Die Fuggerstädter have flattered to deceive at home, but make the trip north having registered eight of their 14-point season tally on the road.